We’ve had a terrific response to the Post Mortem series since the broadcast, and not all of these have come through the usual comments channel on our website. This letter below arrived in correspondent Lowell Bergman’s email box a couple of days ago, and we have the sender’s permission to publish. It’s from Paul Parker, a long-time chief investigator at the Maricopa County medical examiner’s office in Phoenix, AZ. He wrote in to clear up some misconceptions about what a medicolegal death investigator is and does — something, he says, the overall reporting project either muddled with other professionals in the field or completely overlooked. I was fascinated with the FRONTLINE/ProPublica/NPR report entitled, “Post Mortem” and its associated links on your website. I would, however, like to point out something that was completely overlooked in the program and in the subsequent links: the actual role of a medicolegal death investigator. The term “death investigator” is incorrectly being used to define the forensic pathologists, medical examiners and coroners referenced and discussed in your reports. While it’s technically true that they could be referred to as “death investigators,” as it’s the general field in which they work, medicolegal death investigators are the folks who serve as the “eyes and ears” of the pathologists, no matter the system, coroner or medical examiner. In some fortunate jurisdictions, medicolegal death investigators are also the folks who show up at your door in the middle of the night and perform the death notification, not law enforcement. After performing the notification, these well-trained investigators are then tasked with obtaining as much information as possible about the decedent from the grieving family members — a task that is difficult, to say the least. For those jurisdictions fortunate enough to be served by ABMDI “certified” medicolegal death investigators, they benefit from the specialized training these professionals have in these emotionally draining, difficult, and sometimes dangerous tasks, oftentimes not performed by anyone else. 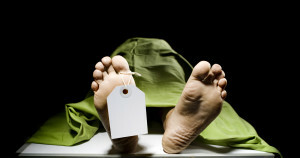 Contrary to the popular misconceptions you so correctly referenced in the report, the CSI effect not only paints a false picture of the extent and expediency of death investigations performed by the medical examiner or coroner, it also completely discounts the foundational support provided by trained medicolegal death investigators. After all, where does the medical examiner or coroner obtain his or her initial foundational and subsequent follow-up investigative information? Who are the “eyes and ears” (and oftentimes nose, hands, and feet) of the forensic pathologist/medical examiner/coroner at the death scenes? Who are the folks who interact with law enforcement, families, hospitals, mortuaries, hospices, public health, and media members? Who are the most visible personnel (visually and telephonically) of a medical examiner/coroner office? If you want a completely independent investigation that passes the “smell test,” you need professional medicolegal death investigators. As a former report writing instructor at the California Coroner Academy, I have taught several hundred medicolegal death investigators how to convey this information. When we die, we need someone to write that last chapter of our life story, which must be accurate, comprehensive, factual, and authored with a touch of compassion. There is no greater honor than writing this final chapter, and I am proud to say that I and my fellow medicolegal death investigators across the country do a wonderful job doing so, no matter whether we work in a medical examiner system or coroner system. Thank you for bringing light to a topic that has never openly been discussed and easy to leave hidden deep in our country’s subconscious, as no one likes to talk or even think about death. I also thank you for allowing me to attempt to bring to the forefront the often overlooked role of true medicolegal death investigators, who are people toiling in the shadows while truly speaking for the dead and assisting the loved ones who have been left behind. I am proud to be a member of a very select group of professionals.